Consider the value of $100.00. In a developed country you could buy a few bags of groceries, a simple outfit, a dinner for two. However, could you imagine starting a business with just $100.00? In the developing world this is not only possible, it is happening all the time, and often with less than $100.00! Global Fellow Ana Iglesias has assembled some brief stories about people all over the world whose lives have been dramatically changed through micro-funding. Recently there has been some criticism of micro-financing. Critics point out that while the funds help people to get on their feet, they often need to continually pour money into their businesses, never getting reasonable nest egg established. Unfortunately, this is true with most small businesses anywhere in the developing and the industrialized world. 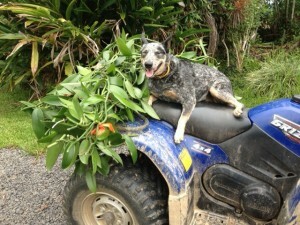 Being a small business owner is a lot like farming. It can sustain us but it won’t make us wealthy. With micro-finance, my personal observation is that it can make the difference between abject poverty and having a more comfortable life. After reading these inspiring stories, consider making a donation to one of the funding institutions listed here. 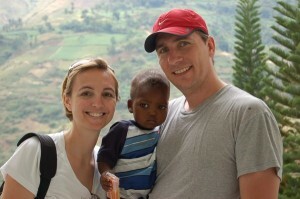 Your investment of $100.00 or less will make an enormous difference for a family and for our global community. Lending Promise currently focuses on offering small loans to women in Nepal, as well as providing counseling and literacy training to ensure that the positive effect of the loans are long-lasting. Micro-lending, as done through Lending Promise, demonstrate a valiant effort to work towards the United Nation’s Millennium goals. International micro-lending in general is a direct embodiment of goal number eight, to develop a global partnership for development.” With long-lasting aid and powerful change it provides, micro-loans can also help improve the quality of life in the rural places that need it most and create a positive ripple effect and thus bring about the other seven goals. Although the organization has helped empower many women since its creation in 2006, there is an inherent technical and cultural difficulty in documenting all the stories of the women and families we have directly affected. Thus we share with you other examples of why you would participate in the greatness of micro-lending. Kamala wanted a loan to become a trekking guide, as she has a four year old daughter and her husband had a temporary job. She dreamed of an education for her daughter and to prove to others that she can provide for herself and her family. With her loan, she went to trekking-guide school and has now started her own trekking guide company. She now has a hopeful future for her daughter and family. Vivian is a school teacher who wanted school for the children in her village, but lacked the funds loan to proceed. Given an initial loan of $54, she received additional loans as she repaid the first. Starting with bare dirt, Vivian grew the school from the ground up, even making the uniforms for the students for her students to wear. She also provides the children with healthy lunches and subsides for those who cannot afford the tuition. What she once thought was impossible, she achieved with dedication and micro-loans. Now a whole village of African children has the chance at an education, and with it, a better life. When Dorothy s husband died, she started a small nursery school in her home using the money from her late husband’s estate. The money did not go far, so with an initial loan of $70 she grew the nursery school into a private elementary school with over 200 students. After receiving more loans she started a snack-cart business and rents out homes she purchased. She now has a savings account, health insurance, and a renewed outlook on life. After receiving a micro-loan that provided funds for 2000 chickens, Gertrude and her husband created Hope Farms, named after their special-needs son. They raise chickens for eggs as well as grow vegetables. They hope to expand and diversify their farm so that they can raise enough money to send their son to the special school he needs. Harriet’s mother received a loan which she used to start a grocery store, then died without warning when Harriet was a teenager. Her two older siblings tried to sell the business, which would have left the 5 younger siblings with nothing. With help from Opportunity, Harriet took over her mother’s loan contract and runs the business. She now owns 14 cows and hopes to raise enough money to put her younger siblings, and eventually herself, through college. Dorcas, who is 57 years old, and her husband could not support their five children on their retirement funds, so she decided to open a small store to keep keep her family afloat. This wouldn’t have been possible if she had not received a loan to help pay rent and buy supplies. She offers a wide variety of convenience items in a prime location. Dorcas been successful enough to aspire to a bigger storefront that she hopes to own herself to save the cost of rent. She has repaid all five of her loans on time, which enabled her to buy supplies in bulk, therefore gaining higher profits, all of which has supported her family. Gabriel makes high quality wicker furnitur, which he sells along with other wicker baskets and hats to tourists. His first loan enabled him to hire workers to help him with the weaving, as well as to purchase frames to build the furniture. His second loan helped him move to a busier and more profitable location. His increased revenue has allowed him to support his six children as well as three orphaned children, not only feeding them, but sending them to school. Clementine and her husband employ 41 people on their commercial farm that initially was a subsistance farm, providing them nothing more than food for their table. After business-skills training and microfinancing, In just a few years their farm is highly successful. They invested some of their profits into the community, donating materials to fix a local church. They are a prime example of community supporters; a demonstration of how micro-finance can truly impact communities and villages. With an initial loan of just $55, Onseme was able to develop a shoe stall in the local market. His latest loan of $200 has allowed him to order shoes in bulk. He now earns around $36/week, which has helped him improve his business and home. He is even considering buying land, something that was once far out of reach for him. With a $171 loan Jennifer was able to buy a sewing machine to rapidly improve the efficiency, success and profits of her sewing business. 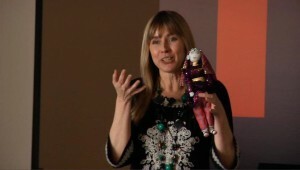 She has since received seven loans which, combined with her drive and passion, made it possible for her to diversify. She now also has a motorcycle taxi business, loans property, is a member of the town’s council, and helps other locals to obtain loans. Her loans have not only helped educate and feed her seven children and five adopted AIDS orphans, but have also created 57 local jobs. Oscar wanted to establish a legacy for his children but knew he couldn’t as he had to depend on loan sharks for high-interest capital to purchase supplies for his shoe business. To compensate for the high-interest loans, he had to raise his prices thereby lowering profitability. With a loan from Opportunity International, he was able to buy materials in bulk, lowered his costs and eventually increased his sales enough to hire six more employees. Now he has a business that he is proud to leave to his children. Before receiving her first loan, Christina made a meager living selling tamales and tortillas. With capital and encouragement from her loan group, she was able to open a small store from her home. She now has increased her income by an astonishing 142 percent and has created savings, which gives her comfort in knowing that her family is cared for. Nine years ago, Magdalena began selling beauty products to help support her family. After her fourth child was born with severe disabilities and her husband left her, her children’s survival depended on her business. Sadly, her business greatly suffered because of the amount of time she had to spend caring for her youngest and the rest of her family. A loan allowed her to restock her business and increase profits in spite of the hardships in her life. Her hope is once again restored and she is aspiring to opening an aerobics studio as well! One morning, guerrillas raided the Yanes  town, killing 80 people. Their family was lucky to escape, but was left with only the support of relatives in the village they fled to. A loan allowed Yenis to start a business selling soup and meat, making it possible for her family to survive. While still in high school, Danilo built a kiosk to start a locksmith business to help supplement his family s income. He learned that he could improve his business with new machinery, but lacked the funds to purchase them. With a business loan he was able to purchase a key cutting machine, which significantly increased his sales. He moved to a larger kiosk, built the business even more and hopes to open a second kiosk soon. Before joining the loan group, Ismete was able to stock her small grocery store, but she lacked the funds to buy a refrigerator. With aloan, she bought a refrigerator, expanded her stock and grew both sales and profits. With her success she hopes to buy a cow and eventually open the first coffee shop in her town. Valentina has been baking most of her life, and even before receiving her loan, she supplied pies to a local school. Her first loan enabled her to buy the necessary supplies to sell her cakes to the general public. Even though she can now accept large orders, she still makes small cakes that are affordable to members of her community. The collapse of state-run businesses caused Silvana to lose her job. In order to make a living, she travels by bus to Turkey to buy and sell clothing. The round trip is an exhausting two-to-three day venture, but the members of her loan group face similar difficulties and offer a community of support. The $500 loan she received allowed her to purchase better clothing for her business. Evelyn started selling handcrafted goods from a small storefront out of her home to help support her family. 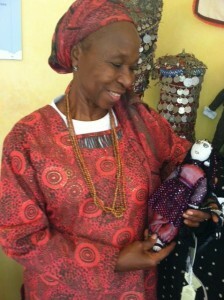 With a loan and business training from Opportunity, she has been able to diversify her artisan products. Her increased sales have allowed her to hire seven employees, including her 21 year old daughter. Before receiving a loan from Opportunity, Valeria had no way of increasing her capital, due to the sky-high rates of the loans she received before. With help from Opportunity, she is proud to own her own small store in part of her home. She has been able to purchase a refrigerator and buy goods in bulk, increasing her revenue and enabling her to send her children to college. When Jemmalyn’s father died, she and her family were forced to move to a squatter’s community in a shanty town. Jemmalyn learned to weave baskets, using the leftover family money to start a business. With help from an Opportunity loan, she and her mother are able to weave more baskets and hope to move to a safer community and send the younger children to college. Due to her father ‘s sudden death just after Ammu graduated from school, she was unable to continue her education. Instead, she worked long hours at a shoe manufacturing company, making little pay. After joining a loan group, she began saving money. With an initial loan of $22 she was able to start her own shoe making business and has established a local client base and can now support her mother and siblings. Zenaida’s husband’s salary as a driver was barely enough to support their family. After receiving a loan, Zenaida bought a steamer and a cooler to improve the offerings at her food stand. She also put the money towards opening a beauty salon in her house. They can now send all their children to school. Durga and her husband make and sell slippers. With a loan of $80 they were able to establish a legitimate business. They also received business training, which helped them to increase their profit margin. They can now save money every week to put towards their daughters’ education funds. Dhalia received a loan of $375 which allowed her to open a vegetable and fruit stand in her home to help support her husband and seven children. She always worked hard to improve the hard living conditions of her family with different business ventures, and is now making a difference in their lives. 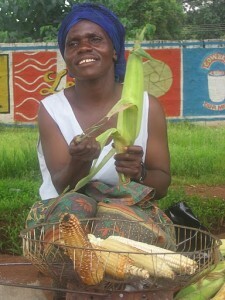 Mavjuda’s loan of $450 allowed her to diversify and improve her dried fruit business. Not only was the quality was improved, but she was able to lower the prices while still increasing her income. She is incredibly thankful for the opportunity to invest. Abdukayum used his loan of $875 to improve his animal fodder business. The improved income that he has generated is mainly used to purchase bulls for his business. He is very thankful for the opportunity to better his business and his life. Inoyatov has fully repaid his loan of $1,075 and is incredibly thankful for the opportunity to improve his grocery business. The loan enabled him to expand the offerings at his store and thus increase his revenue. His increased revenue has enabled him to create a savings account, which he is putting towards improvements for his home and business. Before receiving a loan, Laura and her husband begged on the streets to support themselves and their 3 children. She couldn’t find a job until she received a loan to start a sandwich shop. Its success has enabled her to buy beds and other basic furniture, which her family could have never had before receiving the loan. She now is on her fourth loan cycle and is thankful that she will be able to send her children to school. Sandra and her husband struggled to grow an artisan pewter business without success due to lack of resources. After receiving a loan of $65 as well as business coaching, they have doubled their weekly revenue. The initial loan allowed them to buy raw materials; two subsequent loans helped them expand their business. As a result, their business and financial knowledge has greatly improved, making them better educated and more successful business people. Flora is a single mother with three sons who struggled to make ends meet selling dishware at the local market. With her first loan of $17, she was able to buy materials for her printing business. This increased her revenue enough to expand her business to include a photography studio and a wider range of dishwares and gifts. The savings she has created allowed her to buy her own house and land. She takes full advantage of health and financial education offered by her loan group. Adela received a loan to help her expand her textile and clothing business. She was so successful at helping local women form loan groups that she was asked to become a credit officer and then a loan supervisor. She is very passionate about what she does, explaining that Before I was very timid and didn t talk to people. Now I interact with people all the time. I ve seen for myself that women can advance, that we are worth something and can help ourselves. Since childhood, Matilde has worked hard selling items at the local market to help her family survive. As a child, she sold flowers and tamales, then progressed into making and selling pottery with her husband to support themselves and their children. Receiving a loan and business training helped Matilde buy more supplies so she could grow and improve her business. Next she got a prime location in the market for their handicrafts. She now has both credit and savings, and takes advantage of the medical services and education offered to keep her entire family healthy. Georgina did not have the opportunity to attend school. From the time she was a young child she raised animals for her family’s business. As a single mother, she wanted a brighter future for her daughter, so she applied for a loan to help her buy chickens and the supplies to raise them. This brought her an increase in income, which has allowed her to repay her loans and continue to receive more in order to expand her business. She is proud that she can send her daughter to private school and afford medical care. Angela struggled to help her husband support their six children by making and selling clay goods. After she learned about Pro Mujer, she organized a group of women from her village to apply for loans. The loans she has received have allowed her not only to buy more supplies, but also to travel to larger markets where she receives higher profits. She and her family’s quality of life has greatly improved; her daughters are able to attend school and they have appliances and furniture they could not previously afford. Johana, married with three children, was able to expand her pottery business with help from Pro Mujer’s loans. But even more importantly, the medical services that she received detected cancer. She was able to get treatment and check-ups, and has had no relapses. She is so thankful that she is now healthy and able to support her family. Irma and her family were struggling to survive selling handicrafts to the tourists on their island. Irma, who is just 20 years old, applied for a loan, which enabled her to expand her tourism services to include selling trout and offering boat rides. She explains that the success the loans have brought have allowed her and her family to realize their dreams and work towards better living conditions. She hopes to learn to read and write to further enhance her future. Alhaja has been selling vegetable oil in the Daleko Market in Lagos since 1979. Even though she is known as one of the head vendors at the market, she had difficulty making ends meet. She sold whatever she could to help support the cost of buying oil, yet the death of her husband left her as the sole supporter of her four young children. In 2007 she received a $400 loan which helped her buy more oil jugs. She has since created savings which have enabled her to send her children to school as well as provide her family with more nourishing food. Vasanti owns a tea and snack shop. Her first loan of $125 allowed her to buy a shelf to keep the snacks warm, and a subsequent loan of $200 allowed her to buy new cooking supplies and ingredients. The income she has since earned has enabled her to pay for her child’s education. She is currently working to pay off her loans so that she can receive more and increase the variety of foods she offers. When her son was born Patricia, her husband left her and she only had one knitting machine and limited supplies. She knew that she could have a successful clothing business, but needed more machines and supplies to make a sufficient income. Her first loans of $200 and $500 helped her do just that and increased her production and profits. Her most recent loan is an impressive $5,500, proving both her success and credit-worthiness. Her business is doing so well that she is now looking for a larger production studio. Maria and her family worked together on their farm to make ends meet. Maria wanted to expand their business to include dairy farming, so she took out a $200 loan to buy a cow. Maria has seen great success, paying and receiving six additional loans and now owns six cows. He has used the money that she has made to build a cement house for the family, a great improvement over their leaky, one room house. Maria was even recognized at the Inter-American Development Bank conference in 2008, receiving the “Award for Excellence in Local Entrepreneurship-Paraguay.” She is an example that people with meager means can reshape their and their family’s future for the better, especially with the assistance of mico-loans. Sory is a 30 year old mother who runs Cafe Sory and is studying marketing at the local university. Although Sory and her mother worked hard, they did not have enough capital to grow their business. A loan of $600 helped them improve the stock in their cafe and gave Sory hope that she can become even more successful be opening an internet cafe in the near future. Evangelina owns a small tortilla stand. Her mother encouraged her at a young age to operate her own stand as a means of self-sufficiency and survival. She is proud to be able to send her 14 year old daughter to school with the money she earns. She has received six small loans to purchase supplies and keep her profit at a sustainable level, even after a severe burn injury. She looks forward to buying a refrigerator and more tables with her next loan to expand her business. Mery and her family were forced to flee their home due to paramilitary violence, becoming desplazados (displaced persons). They were left with nothing, but Mery found work at a restaurant and a tiny hut for her family to live in. She wanted her family to be safer and got a micro-financed loan to buy baking supplies to open her own bread business. She bakes all night, sleeping briefly during the day, and her family now lives in a small room behind the shop space she rents. She is now working to provide her family with a more comfortable home. Antonia works from sunrise to sunset, embroidering fabric for dresses and sheets. She has been working since fourth grade, when she was forced to leave school to help support her family. After one of her sisters died ten years ago, Antonia and her eldest sister needed to support the five younger siblings and to work hard on a meager budget to send them to school. Her first loan of $150 allowed her to buy a variety of colorful thread to make more complex designs and sell more profitable dresses. She is very thankful, because she has now been able to pay the bills and keep the children in school. She looks forward to expanding her business and to hire employees.